In this chapter, we describe the mechanism of wired communication, including the tools available to protocol programs for sending and receiving messages and packets over (wired) links. Following the network creation phase, links become hidden and are (usually) not referenced by the program. 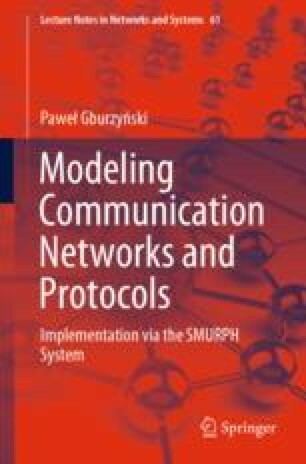 This agrees with the fact that networking software running in real-life systems accesses the communication media via interfaces which, in a SMURPH model, are represented by ports.